The first Single Market Forum took place on 3-4 October 2011. Its outcome was the publication of the "Krakow Declaration" which recognises the many benefits which the Single Market has brought to citizens and businesses, but acknowledges that there is still sometimes a discrepancy between what people expect from the Single Market and what happens in practice. CEPI Managing Director and Policy Advisor actively participated in the debate. Representatives from the European Commission, European Parliament, public authorities and business and social partners met in Krakow to examine the different barriers which still exist to the completion of the Single Market. Different workshops were held on topics which included the added value of a European professional card, alternative dispute resolution, e-commerce, posting of workers and fundamental social rights, bridging the gap between citizens and the Single Market and implementing Single Market rules. CEPI participated in the forum as a whole and the workshop on the European professional card in particular. The conclusion of the workshop was that the European professional card could help promote cross-border mobility in the EU, by speeding up and simplifying recognition procedures, giving more certainty to professionals and enhancing trust among national authorities. It would be up to the European institutions to clarify which authority can deliver such a card, which degree of harmonisation on the contents and conditions for such a card is necessary and how to deal with a situation where a profession is not regulated in a home Member State. The Krakow Declaration calls for the implementation and correct application of EU law in all Member States. Both workers and entrepreneurs need more cross border provision of services and increased mobility of workers. It should be made easy for companies to do business in another Member State. The fundamental right of free movement within the EU applies to professionals and their mobility is in the interests of all. There must be a proper European avenue to speed up national recognition processes and it is recognised that a European professional card could promote such cross-border mobility. 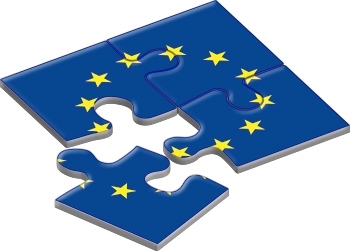 - All the partners to involve citizens more closely in the development of the Single Market; by providing clearer information; by fostering dialogue and communication with citizens in order to better understand their expectations and by helping businesses and citizens exercise their rights and obligations. CEPI welcomes the publication of the Krakow Declaration and its underlying objectives and looks forward to further developments shortly, particularly with regard to the modernisation of the Directive on the recognition of professional qualifications and the European professional card. Click here for a copy of the Declaration and more information about the event.